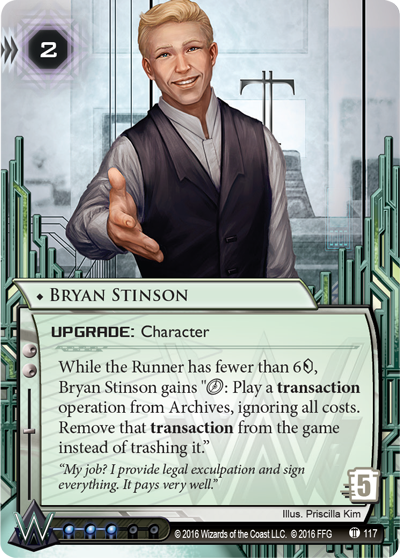 The latest version of the Android: Netrunner Most Wanted List is now online! 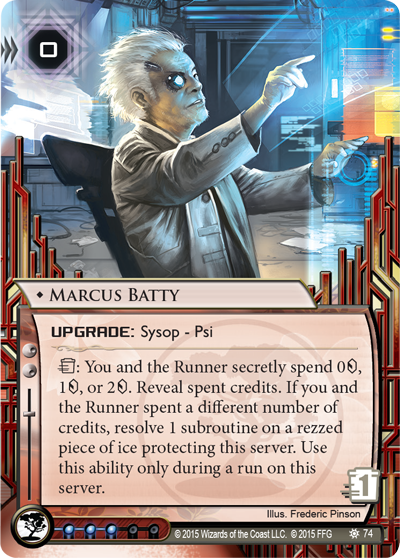 Each quarter we evaluate the health of the competitive Android: Netrunner metagame and make changes to the Most Wanted List when necessary. Learn why these changes were made directly from the lead developer himself in the paragraphs below, and then download today’s update to the Most Wanted List to see the changes for yourself! Download the new Most Wanted List by clicking on the image above. This update goes into effect 02/26/2018. We've been pleased with the effect that Most Wanted List 2.0 and rotation have had on the meta! New and interesting builds have come about, and the game is fresh and original. With the arrival of additional strategies in this renewed environment, the NAPD has identified new targets. Now is the time for Most Wanted List 2.1. Before we get started with individual cards, we would like to specifically address the potency and prevalence of Cerebral Imaging. Though it did not make its way onto the final version, during various iterations of testing, Cerebral Imaging was a candidate for both the Restricted and Removed sections of the Most Wanted List. However, we eventually decided that it was better to hit the cards that enabled Cerebral Imaging, specifically Violet Level Clearance, rather than the identity itself. The enablers are what skyrocketed Cerebral Imaging from an obscure identity to the powerhouse it is now. While removing Cerebral Imaging may have been the cleanest solution, it would take away an identity that so many people enjoy playing. That being said, over the next few months, we’ll be keeping a close eye on Cerebral Imaging’s performance. If things do not shake out the way we anticipate, we will take whatever action necessary to ensure events are fun and diverse. 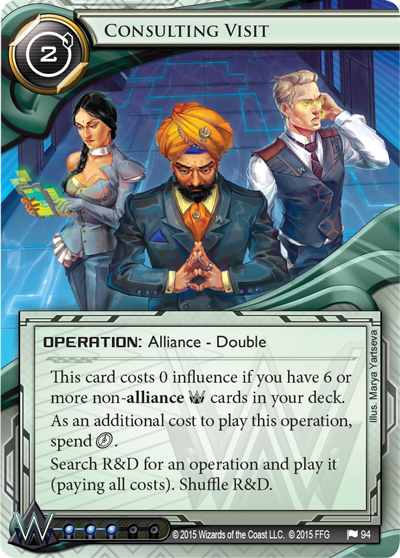 Rumor Mill: When Most Wanted List 2.0 was first put together, we decided that Rumor Mill should be on the Removed List to ensure that other cards within the pool could have their time to shine. However, since then, we have realized that moving Rumor Mill from Removed to Restricted is better for the game overall. 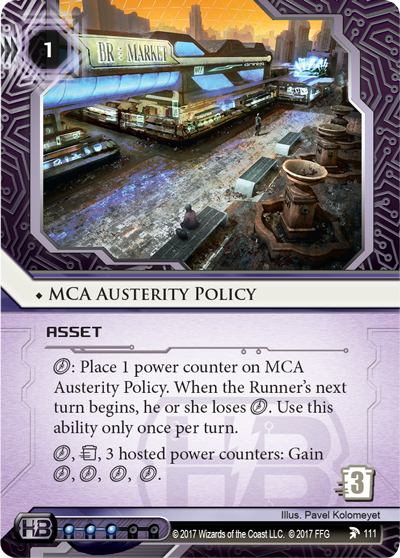 The primary cards that it counters— MCA Austerity Policy, Marcus Batty, Estelle Moon, Bryan Stinson, and Ash 2X3ZB9CY —are all powerful in their own right. 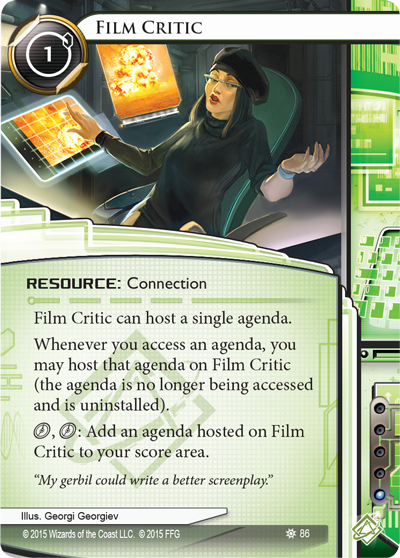 Additionally, restricting Rumor Mill creates an interesting decision between itself, Employee Strike, and Film Critic when building a deck to offset a meta. 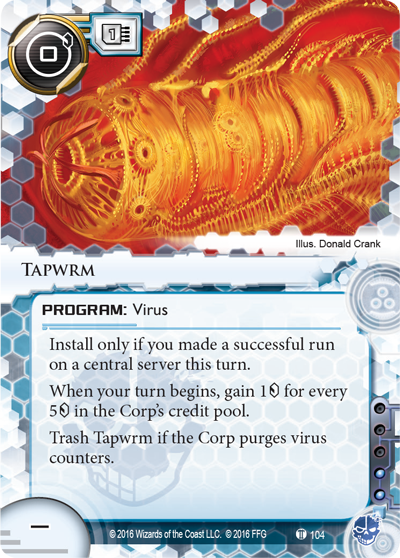 Tapwrm: Tapwrm, along with Sacrificial Construct, is an engine that’s easy to set up and difficult to get rid of. While this is still an option, players will now have to give up other powerful cards in order to get this engine going. 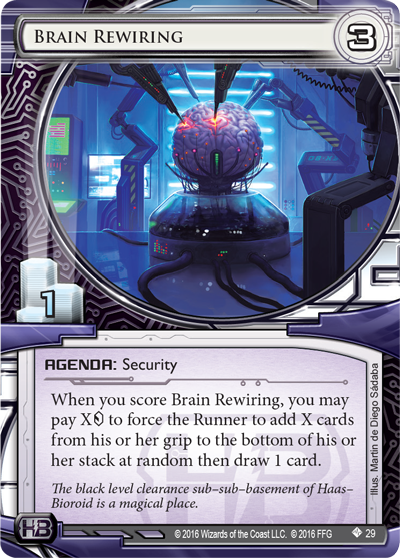 Brain Rewiring: Brain Rewiring is a polarizing card, either used for degeneracy or not used at all. 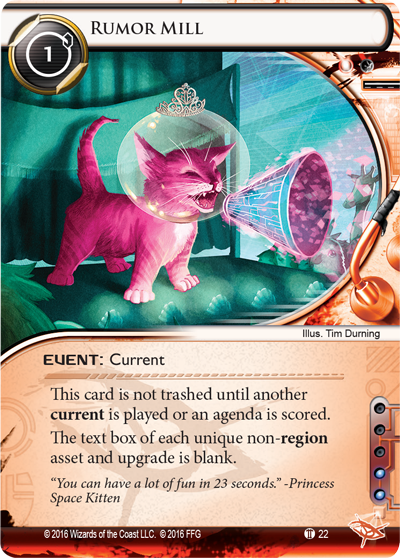 While this type of card can be fun, the playstyle that it fosters is not healthy when widespread. 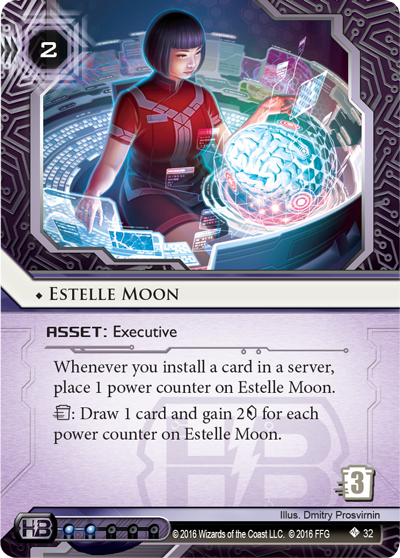 Putting Brain Rewiring on the Restricted section either slows down its deck due to a lack of Estelle Moon or makes the deck more susceptible to runs without Fairchild 3.0 or Global Food Initiative. 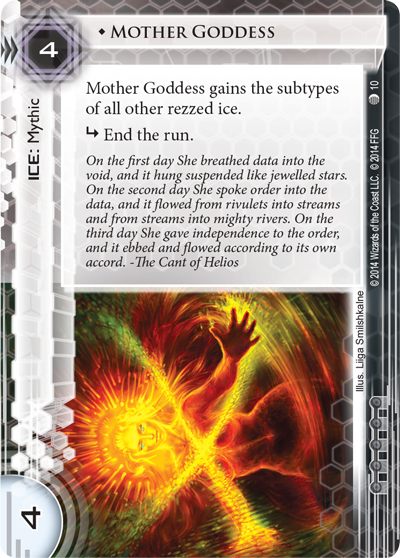 Mother Goddess: Similar to Brain Rewiring, its rare to find Mother Goddess in a deck that isn’t trying to do something unfun for opponents. 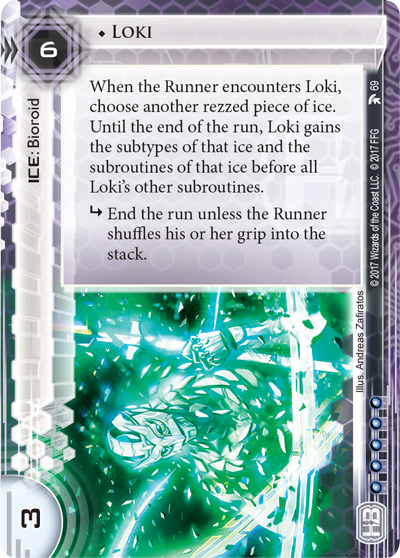 Especially in conjunction with Loki, an AI-less Runner can be permanently locked out of multiple servers at once. Again, while this combination is still possible, the decks that use Mother Goddess will have to eschew a lot of other powerful cards. 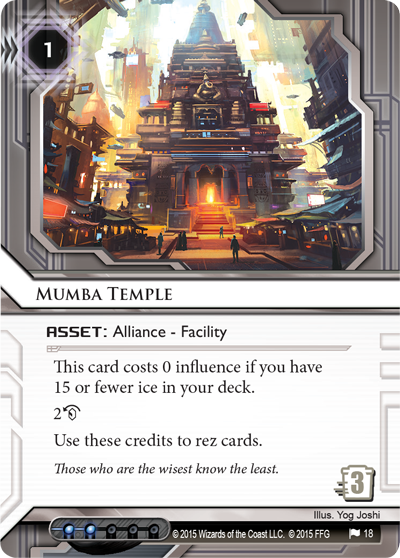 Mumbad City Hall: Similar to Rumor Mill, Mumbad City Hall was first put on the Removed list to ensure that the meta could shake out in a healthy way. 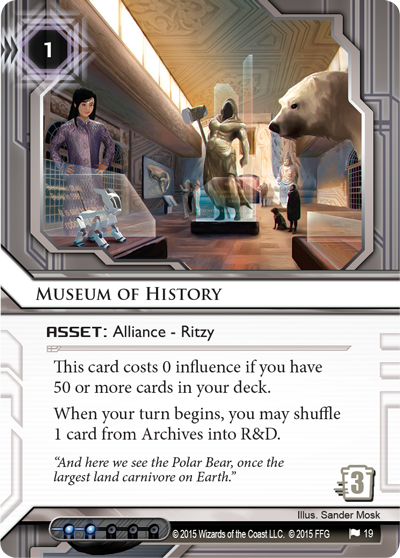 However, this is moving from Removed to Restricted due to the fact that the cards it works best with— Mumba Temple and Museum of History —are also restricted. 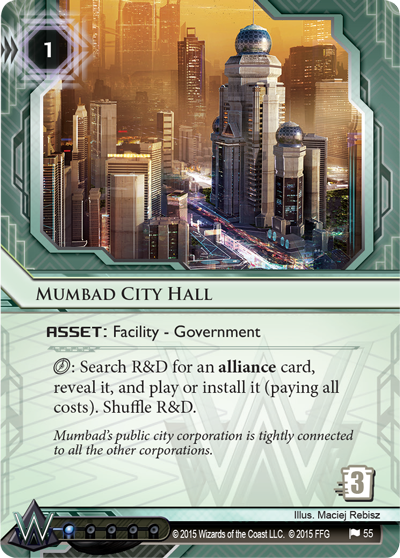 Best case scenario, Mumbad City Hall can tutor Consulting Visit, but that’s a three-cost, three-click, two-card combo that can be disrupted if the Runner trashes Mumbad City Hall. 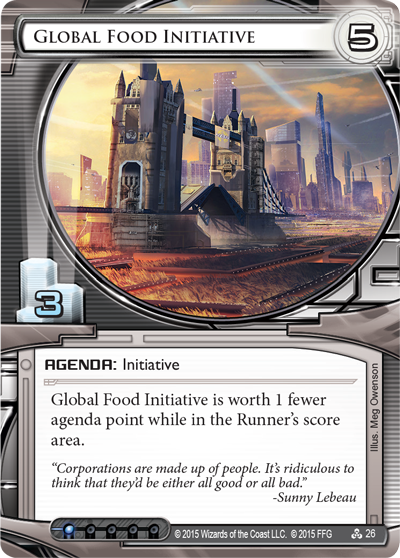 Whampoa Reclamation: This card makes the sub-game of “Hide the Agenda” all too easy, a game which can become frustrating for the Runner. 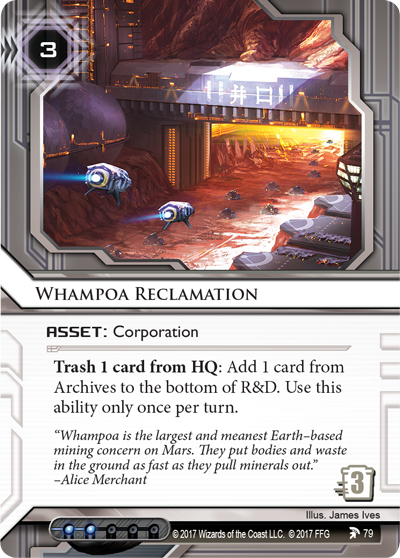 Whampoa Reclamation's ability to let the Corp cycle through a bad hand is important, however, and for that reason should stay an option when building a deck. 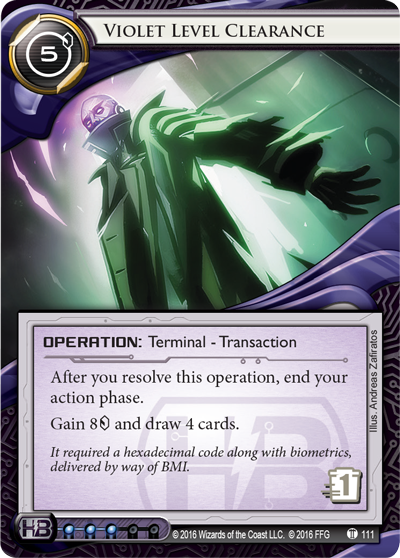 Violet Level Clearance: Ideally, the efficiency of this card—seven clicks of value for one click that can be played on the first turn—is balanced by the fact that it is Terminal, has a low trash cost, and, for most Corps, requires planning to ensure that the Corp doesn’t flood HQ. For Cerebral Imagining, almost none of those conditions apply. Being able to fire this off on turn one without the risk of flood sets Cerebral Imaging’s economy up for the rest of the game. 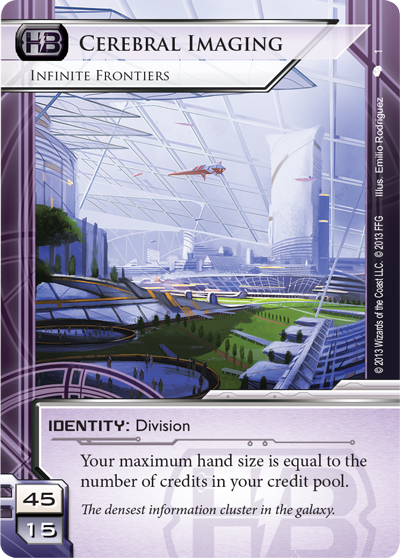 By removing Violet Level Clearance from Cerebral Imaging’s arsenal, the deck slows down to the point where it's still fun to play but also fun to play against. 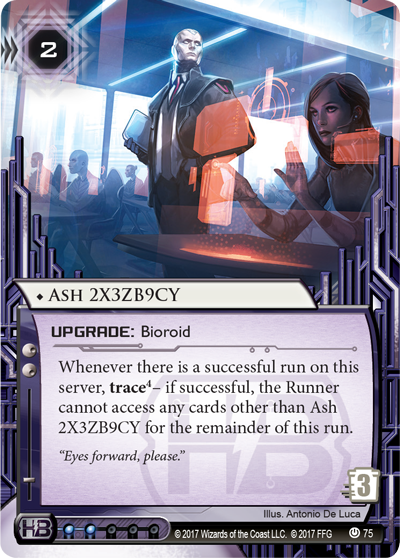 Download the new Android: Netrunner Most Wanted List now to read the entire update before it goes into effect on February 26th. 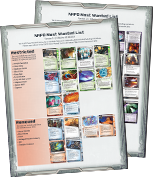 Players attending a tournament before February 26th can still find the previous Most Wanted List, along with other rules documents and support materials, on the Android: Netrunner page. 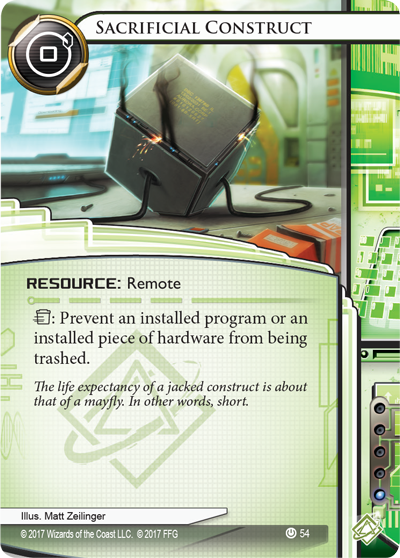 Based on the classic card game designed by Richard Garfield, Android: Netrunner The Card Game is a game for two players set in the dystopian future of Android. It pits monolithic megacorps against subversive netrunners in a high-stakes struggle for the control of valuable data. 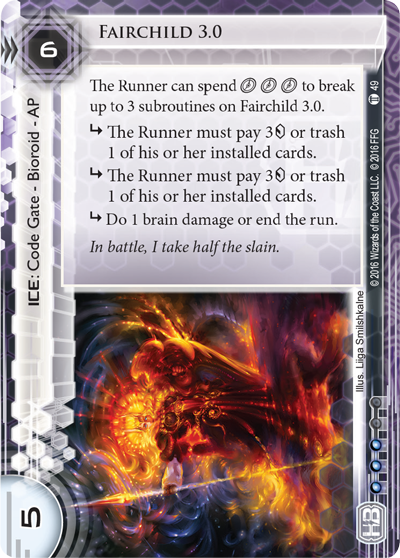 Netrunner is a TM of R. Talsorian Games, Inc. Android is TM & ©2018 Fantasy Flight Games. All rights reserved. 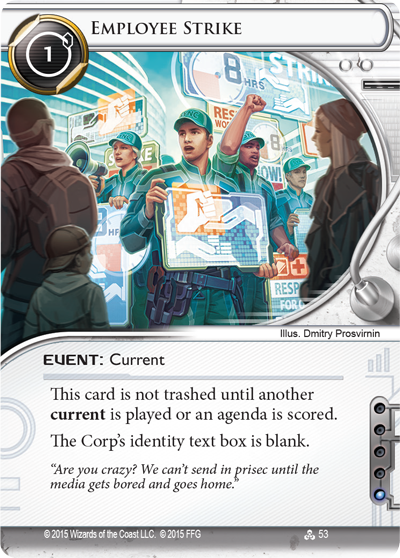 Netrunner is licensed by Wizards of the Coast LLC. ©2018 Wizards.